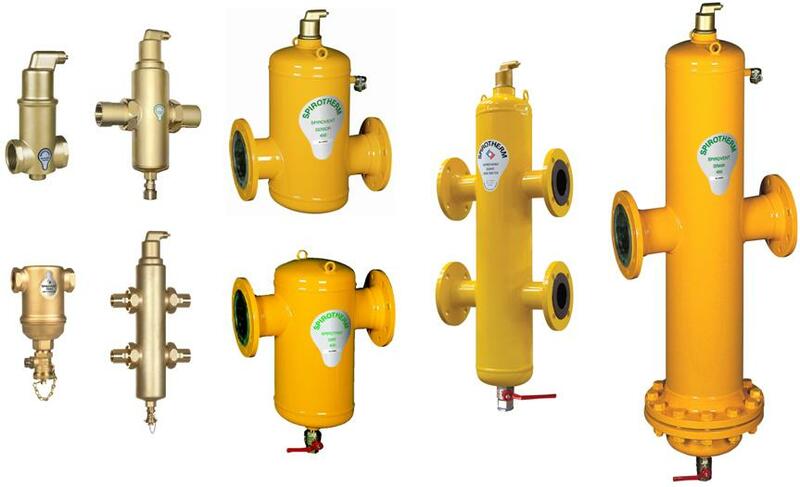 Spirotherm, Inc. manufacturers the industry leading high efficiency Spirovent® coalescing type air elimination products and its extended line of Spirotrap® dirt separators. A wholly owned subsidiary of Spiro Enterprises, Inc. , we have been developing and manufacturing products to improve water quality in the HVAC industry for almost 40 years. Sizes from 3/4” to 36” pipe, flows to over 30,000 GPM for residential, commercial, industrial, and institutional applications. Protecting the investment in high efficiency boilers, chillers, and other system components requires the fluid to be distributed efficiently. Eliminating air and dirt does away with many maintenance items that have been considered routine, saves energy, and improves overall system performance and heat transfer. We support a network of factory trained sales offices across North America, each with a staff of qualified sales and application professionals who can demonstrate how Distribution Efficiency will protect those investments. Contact the office closest to you for product application assistance or to arrange for a personal demonstration.